We don't have any office branch in other place! Our group name is only: HOSTELHK Group. Please go to our official website to verify our members. 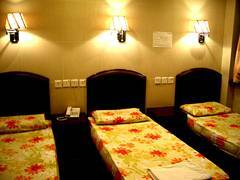 cheapest accommodation in Hong Kong with a single bed of US $8 one night. decades of use, there are nearly 4, 000 people living in the Mansions. diverse locations in Hong Kong. Example of Globalization in Action in its annual feature The Best of Asia. many sight-seeing scenes, shopping, restaurants, hostels, bars, ballrooms. area for shopping, dining, housing, walk for you. customer, you must be satisfied with here. area with utmost convenience. Premiere shopping and entertainment district. and the famous night scene of Hong Kong Island at the sea side. Our rooms are categorized into three classes: Budget, Standard and Luxury. upgrade the rooms, please request it by email to make the change. We have three types of triple room. 1. One double bed and one single bed. 2. One bunk bed and one single bed. 3. Only the luxury type have three single beds. We have two types of quadruple room. 2. Only the luxury type have two KING-SIZE beds. Family suite designed for family in a group of 4-5 adult. With kitchen. service are also available. If that wasn't enough for you, kids stay free! equipped with 24 hours video surveillance system. it as a great opportunity to attract new customers. Please select your 'arrival time' very carefully before confirming the booking. guests to have the best arrangement. but better rooms and good service. Come and share the experience of Hong Kong with us. You will really enjoy your stay! Welcome to Hong Kong! Copyright 1980-2015 HOSTELHK GROUP. All rights reserved. We have the most variety of rooms. And they complied with government regulations on fire safety and building safety. As we see that almost guest rooms in Hong Kong are too small with tiny beds. We especially design spacious rooms with king size beds. We possess all the merits of other hostels, and at the same time, we guarantee an absolutely silent and new environment in every room we have. 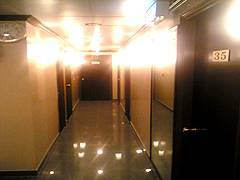 The partial rooms are designed according to the level of a 3-4 star hotel. 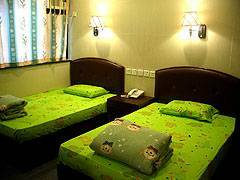 Both the room and the size of the bed in our hostel is the largest among all hostels in Hong Kong. 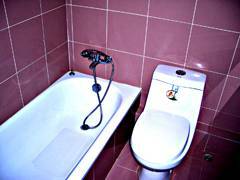 We also offer the economy rooms and dormitory rooms with the lowest prices. Perfect for all kind of customers, whether you are travel group, individual travelers, budget travelers or backpackers. Our rooms are categorized into three classes: Budget, Standard and Luxury. Because the site only can reserve one type in each type rooms, we show for online booking only for our basic one. For example: If you reserve a Twin Private En-suite, you will have our Twin - Budget. Customers who booked rooms from this website are given the privilege to upgrade their rooms up to 30% discount off if other classes of rooms are available. Customers can fully exercise their right to decide between staying in the same booked room or upgrade! Extra facilities and service are charged upon request. If you need upgrade the rooms, please request it by email to make the change. Perfectly located in the heart of Kowloon Peninsula - famous Tsim Sha Tsui area with utmost convenience. Premiere shopping and entertainment district. Within just a few minutes to walk you can enjoy dinner in Chinese or Western restaurants. Alternatively, McDonalds, KFC are all local. Many 24 hour shops, Bars, Disco and supermarkets are also nearby here. Tsim Sha Tsui is just beside the Victoria Harbor. Tourists can enjoy the great sea view and the famous night scene of Hong Kong Island at the sea side. Any arrival date or time changes, please contact us by email at least 48 hours before your original arrival date. For the cancellation must be made through this official website. Phone calls not accepted. 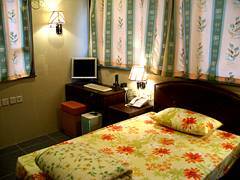 Otherwise the two night's room rent will be charged from your credit card for failing to follow the above rules. Travelers have the choice of taking, the City-Bus A21 Route, the taxis or the MTR Airport Express to reach our hostel from the airport. 1. Airport Bus: Airport bus is the most popular method to get to Chungking Mansions. The Airbus Station is located near Hall B on the Arrivals Level (Level 5) of Hong Kong International Airport. Find the bus stand for A21 Airport Hung Hom KCR Station Route. You will see a map of the terminal. There is usually a lineup of around 10. The bus departs approximately every 10-15 minutes. A fare is HK$33. When you are on the bus, be sure to first secure your luggage then find a sit on the lower level. In 40 -90 minutes (varies with traffic) you will reach the Bus Stop No. 14 - Middle Road, Nathan Road. (1st being the airport). Because the service time of A21 is 05:00-23:59, you can use N21 airport bus at same place and stop at same bus stop if you arrival Hong Hong after 00:00. Once you got off the bus, turn the back way, and walk approximately about 50M, It takes about 30 seconds on foot. you can see the Chung King Mansions front entrance on your right hand side. You wiil see the huge TV screen paste at the wall of Chungking Mansions. When you make sure you are at Chung King Mansions, walk into the Block A ( just be close to the Chungking Mansions front entrance). You can see two lift, take the right hand side one,(stop at odd numbers floor), push the 3rd floor button, when you are out, you can see our reception should be within your sight. Taxi driver may not know precisely where Chung King Mansions is. Even if they do, they may not have heard of its name in English. If will be helpful to show them the map or Chinese word. There is no airport taxi, only regular taxis. Please catch the red coloured one, because other colours do not go to the Kowloon area. Once you got off the Taxi, just find the huge TV screen paste at the wall, that just the Chungking Mansions. It should be within your sight when you got off the Taxi. When you make sure you are at Chung King Mansions, walk into the Block A ( just be close to the Chungking Mansions front entrance). You can see two lift, take the right hand side one,(stop at odd numbers floor), push the 3rd floor button, when you are out, you can see our reception should be within your sight. 3. Airport Express (AEL) / Railway: For passengers who wants a balance between comfort and economic, the Airport Express Railway is the definite choice. Airport Express can be easily spotted in the Arrival Hall. You will find ticketing machine on side walls. Purchase your ticket for the Kowloon stop. Get off at Kowloon station. This will take 20 minutes. The fare is HK$90. After 20 minutes of the ride, you will arrive at the Kowloon Station. Direct your self to Exit A and hop on to a taxi It takes about 5 minutes to get to Chung King Mansions. You are expected to pay about HK$20 for this short trip, or you can take shuttle bus K5 to go to the Holiday Inn hotel. Get off at Holiday Inn Golden Mile (Hotel). walk to the Nathan Road side, and turn to the left hand side walk more 50 steps, you will find the huge TV screen paste at the wall, that just the Chungking Mansions. When you make sure you are at Chung King Mansions, walk into the Block A ( just be close to the Chungking Mansions front entrance). You can see two lift, take the right hand side one,(stop at odd numbers floor), push the 3rd floor button, when you are out, you can see our reception should be within your sight. 1. KCR(Kowloon-Canton Railway): If you come from Lo Wu (Shenzhen, China), please get off at the last station - East Tsim Sha Tsui. Get off from K gate - Middle Road. After comes out walks towards Nathan Road direction, walk to the intersection right extention, walk 100m, obviously Chung King Mansions main entrance, It takes about 2 minutes on foot. You will find the huge TV screen paste at the wall, that just the Chungking Mansions. When you make sure you are at Chung King Mansions, walk into the Block A ( just be close to the Chungking Mansions front entrance). You can see two lift, take the right hand side one,(stop at odd numbers floor), push the 3rd floor button, when you are out, you can see our reception should be within your sight. 2. Train from China Beijing, Shanghai, Guangzhou or etc...: If you take the nonstop train from Beijing, Shanghai, Guangzhou or etc... your train will stop at the Kowloon HungHom Station, when you get off the train, buy the ticket to the station - East Tsim Sha Tsui. It cost HKD$3. 5 per person, and take 2 minutes. 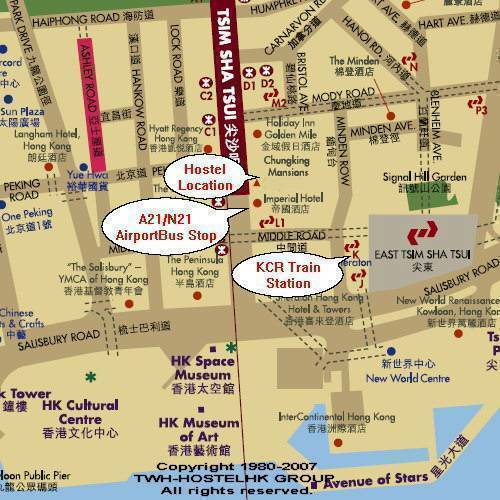 When you arrival the East Tsim Sha Tsui station, Get off from K gate - Middle Road. After comes out walks towards Nathan Road direction, walk to the intersection right extention, walk 100m, obviously Chungking Mansions main entrance, It takes about 2 minutes on foot. You will find the huge TV screen paste at the wall, that just the Chungking Mansions. When you make sure you are at Chung King Mansions, walk into the Block A ( just be close to the Chungking Mansions front entrance). You can see two lift, take the right hand side one,(stop at odd numbers floor), push the 3rd floor button, when you are out, you can see our reception should be within your sight. 1. China HK City: This pier is just located at Tsim Sha Tsui area. Use the taxi only charge HKD$20 and take about 5 minutes then you are at our building. Also you can walk to here about 10 minutes. You will find the huge TV screen paste at the wall, that just the Chungking Mansions. When you make sure you are at Chung King Mansions, walk into the Block A ( just be close to the Chungking Mansions front entrance). You can see two lift, take the right hand side one,(stop at odd numbers floor), push the 3rd floor button, when you are out, you can see our reception should be within your sight. 2. SheungWan: This pier is located at SheungWan MTR subway station, take the subway 5 minutes to the Tsim Sha Tsui station, E gate. You will find the huge TV screen paste at the wall, that just the Chung King Mansions. It should be within your sight when you got off the E gate. When you make sure you are at Chung King Mansions, walk into the Block A ( just be close to the Chungking Mansions front entrance). You can see two lift, take the right hand side one,(stop at odd numbers floor), push the 3rd floor button, when you are out, you can see our reception should be within your sight. MTR Subway(Mass Transit Railway): This is most popular city transportation for foreign tour list. It takes about 30 seconds on foot from E gate of Tsim Sha Tsui Station. You will find the huge TV screen paste at the wall, that just the Chungking Mansions. It should be within your sight when you got off the E gate. When you make sure you are at Chung King Mansions, walk into the Block A ( just be close to the Chungking Mansions front entrance). You can see two lift, take the right hand side one,(stop at odd numbers floor), push the 3rd floor button, when you are out, you can see our reception should be within your sight. Block A, 3 Floor, Chung King Mansion, 36-44 Nathan Road, Tsim Sha Tsui, Kowloon, Hong Kong. Many thanks for your booking, please print out your booking confirmation sheet and check-in with your name. We will have your name and confirmation number on a list of paper. When we verify your name and number finish, you need to pay the whole room rent. Then you will easy to check-in and get in your room. When you arrival to Hong Kong, and into the TSIM SHA TSUI area, please do not show or give your booking information to any stranger, because our hostel is popular, and some people always stand in the street pretending to be our staff and bring you to a different place. They will try to get money out of you before you discovered that you have been cheated! Even when you find out the truth, they will not return the money to you. When you arrive at the Hong Kong international airport, before you collect your luggage, there are many free telephone you can use, please call us immediately, we will direct you the easiest way to come to our hotel.